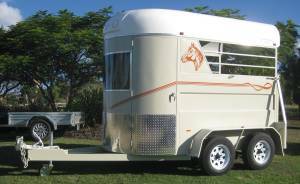 Horse Floats & Trailers Gympie – Nobbys Welding is a long established business specialising in the manufacture of horse floats and trailers. Owners Wayne & Margaret Nobbs have over 20 years experience in steel manufacture and construction. Along with the support of our professional manufacturing team we successfully produce custom built products to order. 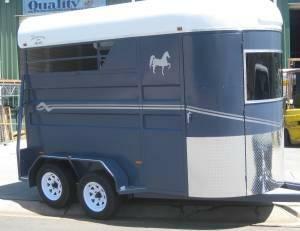 Our years of experience enable us to truly benefit the horse owner requiring a solid’ superior quality reliable float. We have extensive knowledge in equestrian and design requirements along with extensive experience in all things steel. 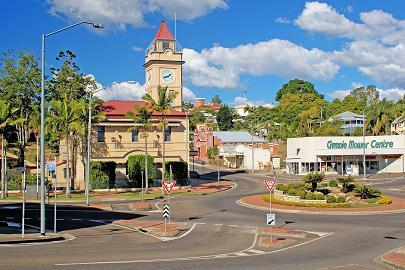 We are situated in Pinewood avenue’ Gympie and visitors are always welcome to come and see floats under construction. 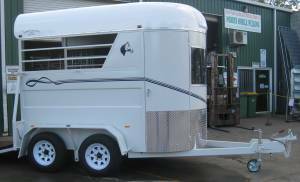 At Horse Floats & Trailers’ Gympie we take pride in our quality control which produces only top quality floats’ and ensures our floats and trailers are of solid construction using only the best materials available. 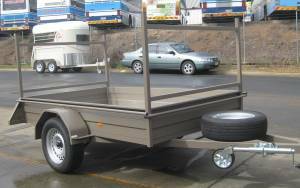 Our floats and trailers are built using heavy duty chassis and framework from quality material to ensure ease of towing and superb balance. We use the latest manufacturing equipment available to aid in the design and construction of the floats. 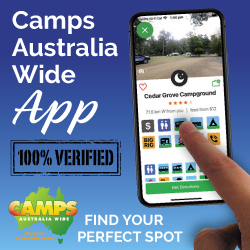 This equals accurate and professional results with superior workmanship. All individual requests can be met such as choice of colours and custom extras. Just call us at 54836813′ drop into 17 Pinewood avenue or click on the email link above to contact us for an estimate.